Winds to Dalmatians are an integral part of life, as Bura is blowing today it seemed like the appropriate time to introduce you, though Bura should really need no introduction. I woke up to the sound of my shutters crashing against the side of the apartment and wind howling through the house. Now, sitting on my terrace writing, the wind is still raging and as I peer over my balcony, I can see the white ‘peaks’ of the generally calm Adriatic. Meet Bura. A wind who makes his presence felt and should need no introduction, but I’ma go ahead and do it anyway – if you don’t know what on earth I am referring to and are coming sailing in Croatia, you definitely want to read on. 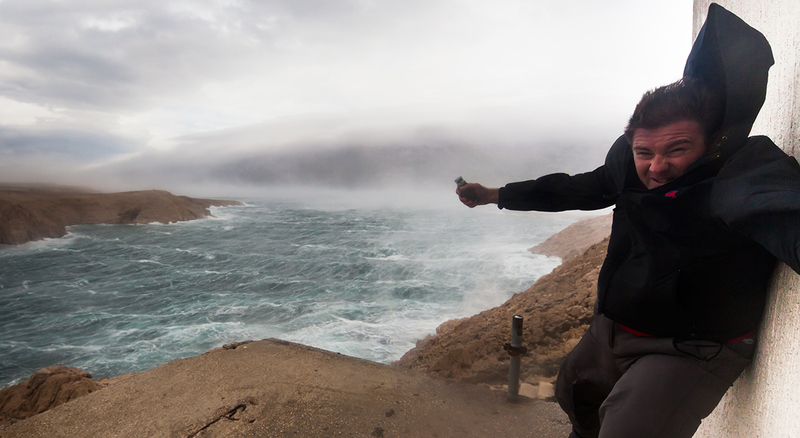 Bura is a wind that blows from NNE to ENE, which, along the Adriatic coast, means that he blows from the land to the sea, gaining strength and power as he cascades down the mountainsides before hitting the water, fanning out and causing a mess of the sea. It is a dry, cold wind which blows in gusts and can reach incredible speeds – in 2003 on the Kralja Tomislava highway, speeds were recorded at a whopping 304 km. There are two types of Bura, light and dark. ‘Light Bura’, is more typical and is when the skies are clear. Then, every so often there is ‘dark bura’, which, go figure is characterized by dark clouds which gather on the hilltops, move towards the sea and bring rain. If you are going to sail in Croatia, you best familiarize yourself with some of the local legends – winds and weather are at the heart of most all Dalmatian conversations. Bura and Jugo being the most famous, or should that be infamous? March Bura – It is said that if Bura blows three times in March, then summer will be hot and stable. While Bura definitely aint so pleasant in winter, us locals do welcome the March Bura and you can guarantee it is a talking point for most. If I am correct, Bura DID blow three times this March just past and so far, the legend for hot, stable weather is holding true. Bura is strong and unpredictable, so you would assume that he is a proper nuisance (and he is for sailing), but Bura is both revered, respected and appreciated. The Bura wind is known to ‘clean’ everything. Unlike Jugo, who blows from the sea to the land and can bring with it a lot of ‘junk’ (as well as lethargy and any other excuse for not working you want to think of); Bura blows from the land to the sea, taking everything with it, literally everything – I have seen tables and chairs going flying and lost terracotta roof tiles thanks to Bura. Bura is also meant to clear your mind and honestly, I don’t know if I have been here too long and am becoming more and more Dalmatian, but there is something refreshing about Bura – especially in summer. After days having felt like my life has been carrying on in a sauna, this Bura (which has now been blowing for 3 days) has given me a new sense of clarity (not to mention sitting at my laptop not sweating is an absolute luxury). Bura takes a ‘lunch break’, this wind gains strength during the night as the temperatures drop, but is known to take a lunch break during the day due to the rising air temperature (very Dalmatian), before regaining his might in the evening until dawn – from dusk ‘til dawn let’s say. 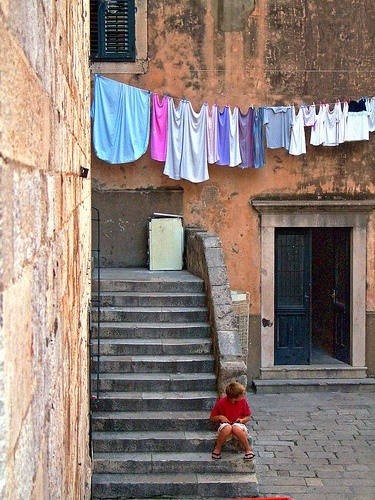 If all the clotheslines are full of laundry, you can make a good bet, that Bura is blowing – due to it being a strong, clean wind, it is a favourite among Croatians to dry clothes. None of these points are related to sailing, but they are interesting to note; legends and customs of a country you travel to will always help add another level of understanding and depth to a culture. 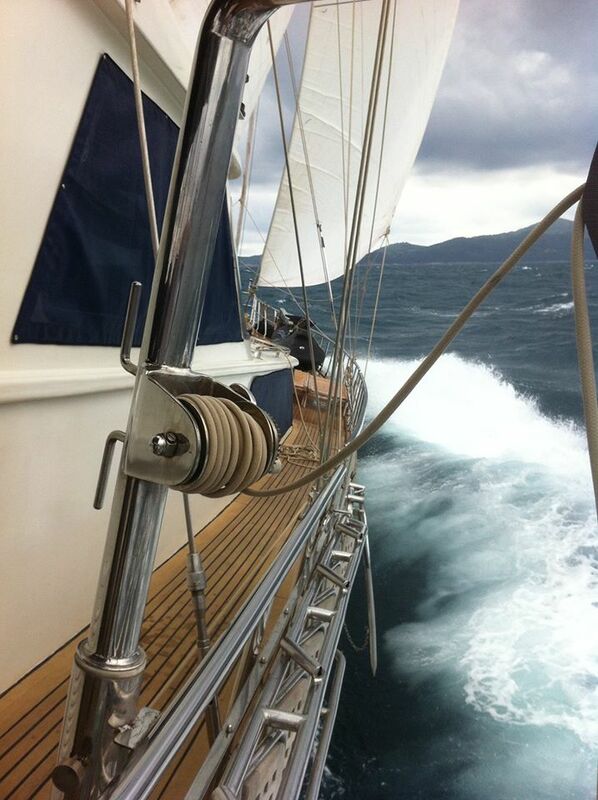 Sailing in strong Bura is not for the fainthearted and definitely not for the inexperienced. Why? Well, I already mentioned the crazy gale-force strengths, which should be more than enough reason to make an inexperienced sailor keep his sails packed for an extra day; but also, Bura is unpredictable, he changes direction rapidly and can make a mess of the sea, with high waves and a lot of spray, making the sea hard to read and a course difficult to lay. Not to mention, if (heaven forbid), you find yourself in a man overboard situation, manoeuvring your boat or trying to find someone in the strong winds, heavy spray and low visibility is an operation not granted much chance of success. 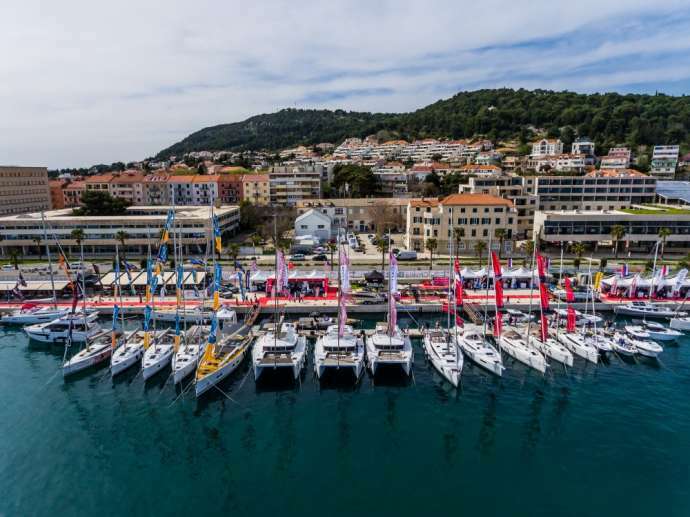 Bura reaches top strengths in the Gulf of Trieste, the Kvarner Gulf, wider Šibenik area, the Kaštela Bay, Makarska and surroundings Žuljana cove on the Pelješac peninsula (source: Ultra-Sailing) and particularly in the Velebit channel. While meteorological reports should inform of Bura, he has been known to appear relatively unannounced. However, if you are at sea and notice thin white clouds over the peaks of coastal mountains, you may want to set your heading for a safe bay – because this can be a sign that Bura be coming. 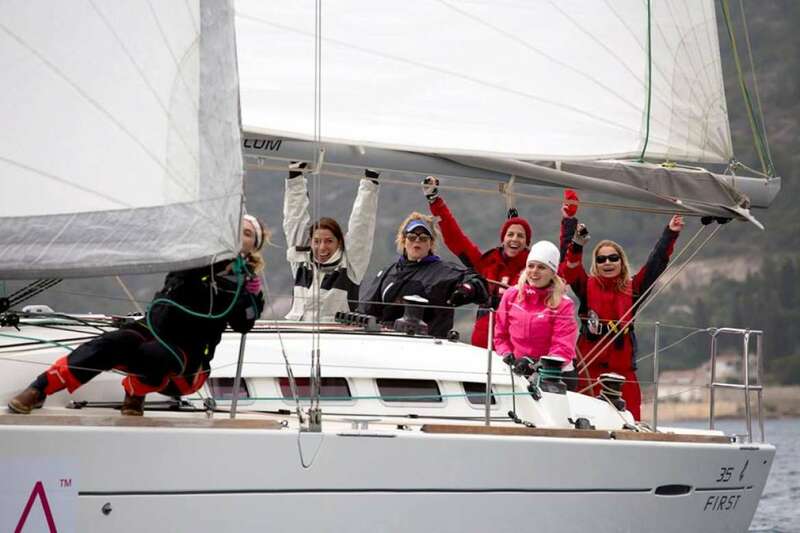 When I did my sailing course with Ultra-Sailing, we had a very mild Bura of around 12 – 16 knots, so while the strength of Bura wasn’t an issue, it was still difficult to adapt to the quickly changing direction and the inconsistency of gusts. 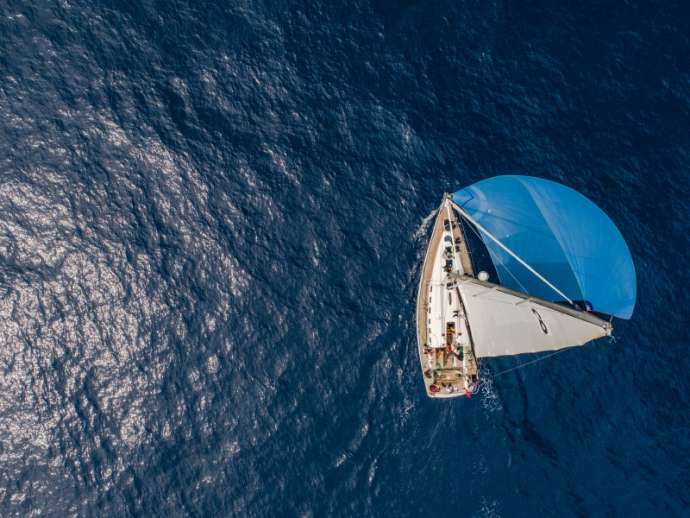 Basically, Bura is no fun to sail in, unless you are an experienced sailor after a challenge – but even the wise wouldn’t hit the sea if Bura is reaching 35+ knots. It is now 1pm and Bura is starting to calm down a little, time for lunch for both of us, but before I leave you, check out these videos of Bura in action and tell me – do you want to raise your sails?